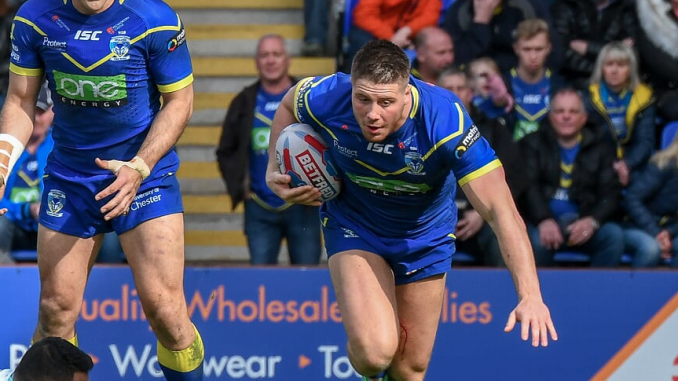 Warrington winger Tom Lineham has had his three-match ban reduced and he will now be able to play in the semi-final play-offs. The 26-year-old pleaded guilty to but challenged the grading of his Grade C high tackle charge in their loss to Wigan Warriors on September 14. Lineham’s challenge was success and the charge was downgraded to a Grade B by the operational rules tribunal, consisting of Chris Batty, Wilf George and Russ Bridge. His three-match penalty notice has been reduced to two matches. He will miss Warrington final game in the Super 8s against Wakefield Trinity this week, but he will be able to play in their semi-final play-off against St Helens next weekend. Elsewhere, West Wales Raiders’ Craig Lewis pleaded guilty to the Grade D questioning the integrity of a match official charge from their League 1 match against Keighley Cougars. He has been suspended for four games and fined £75.